All the fruit trees along side the roads around here are laden with fruit at the moment. After living here for several years, we know where the good trees are and when they are ripe. 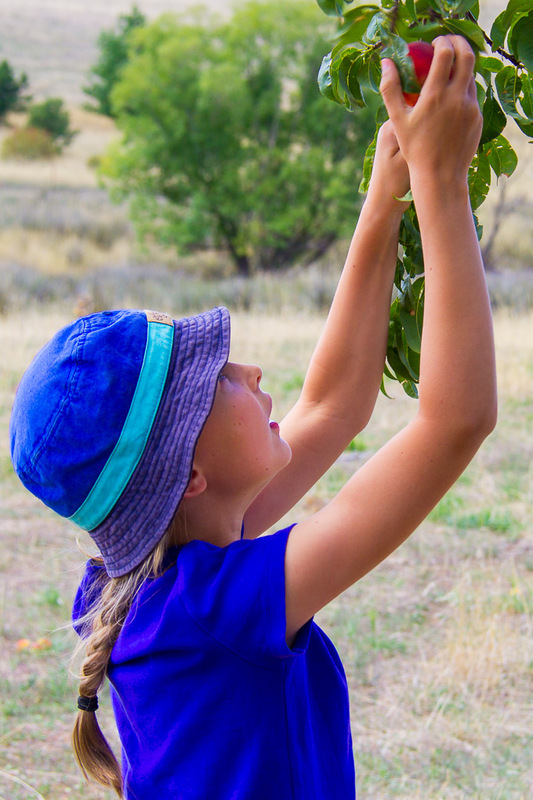 On Saturday we jumped in the car and drove about ten kilometers to an excellent peach tree that was full of peaches for us to pick. 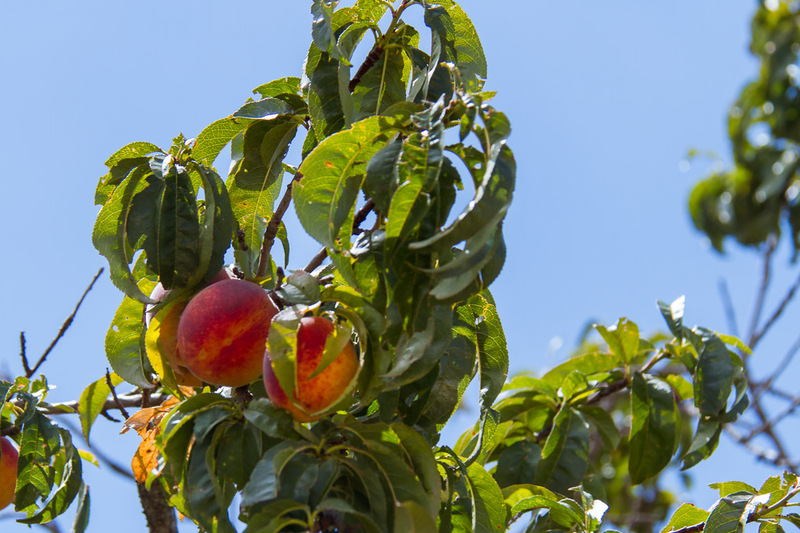 When we got there, it was obvious that we weren’t the first to have a go at picking some peaches, but there were still plenty left on the tree for us. 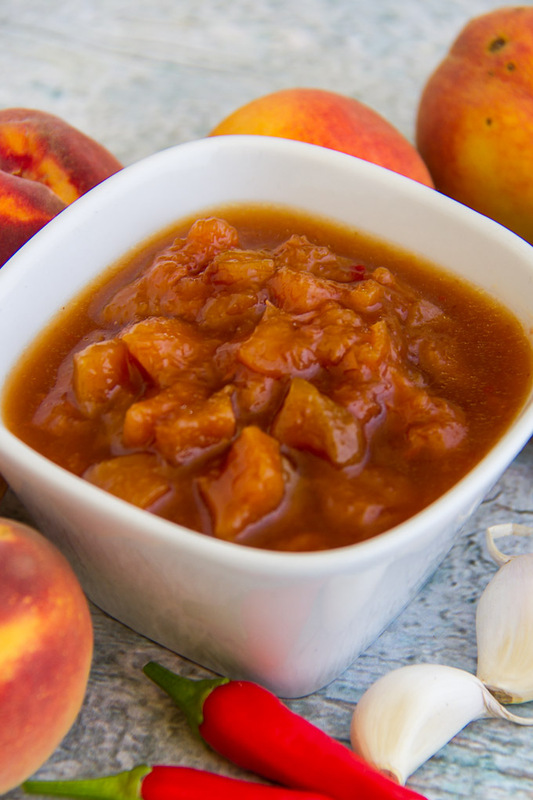 Fifteen minutes later, we had filled several bags with delicious, tangy sweet peaches, and we were heading home to make some peach chutney. 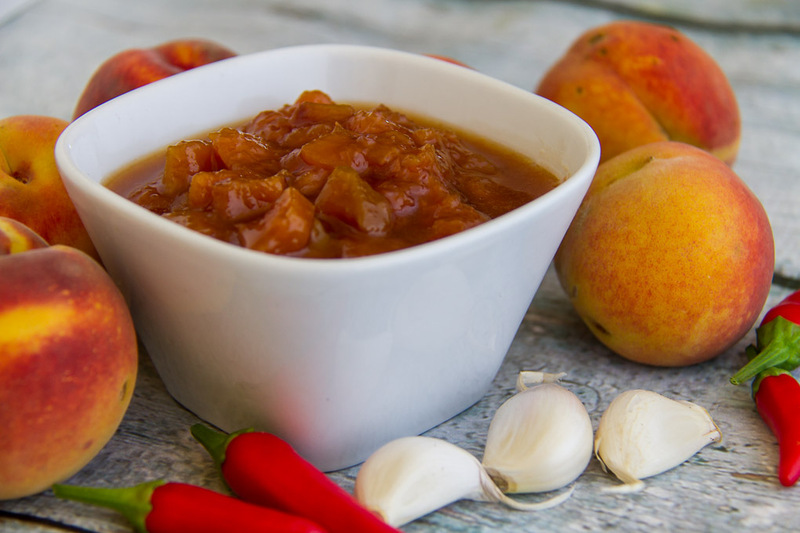 I made a big batch of this chutney last year, and it is Country Boy’s favourite – he says I could sell it (a big compliment indeed!). Things were looking scarce as we had just one bottle left in the store cupboard – until I made a double batch of the chutney. Hopefully it should last him until next year! Bring a large sauce pan of water to the boil. 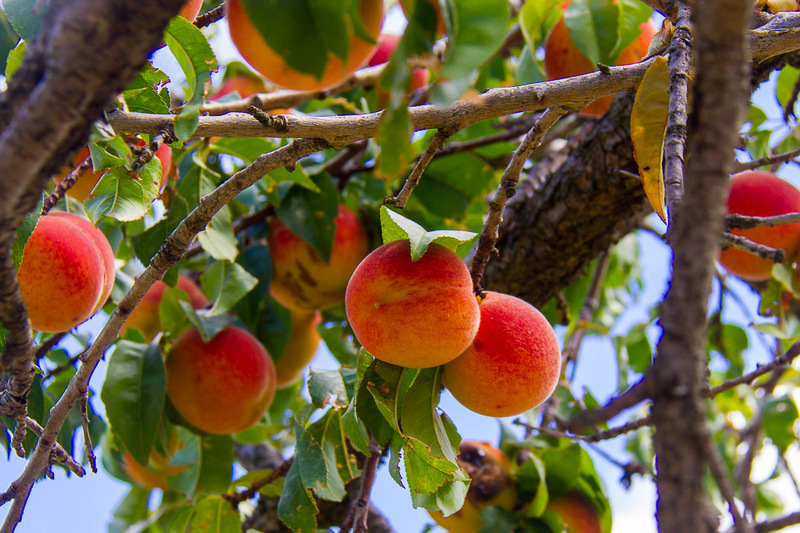 When boiling, blanch the peaches by placing them in the hot water for 30 second, removing them with a slotted spoon and placing in a bowl of cold water. When the blanched peaches are cool, peel, stone, and cut the flesh into 1 cm cubes. Peel and quarter the red onion. Place the onion, ginger, garlic, and chilli in a food processor, and process until a paste is formed. Fry the onion paste for 2 minutes without colouring it. Add in the diced peach flesh. Stir and cook for 5 minutes. Add in the white wine vinegar, sugar, and salt. Simmer uncovered, for about an hour until the liquid evaporates, the peach cooks, and the mixture is thick. Place into sterilised jars while still hot. 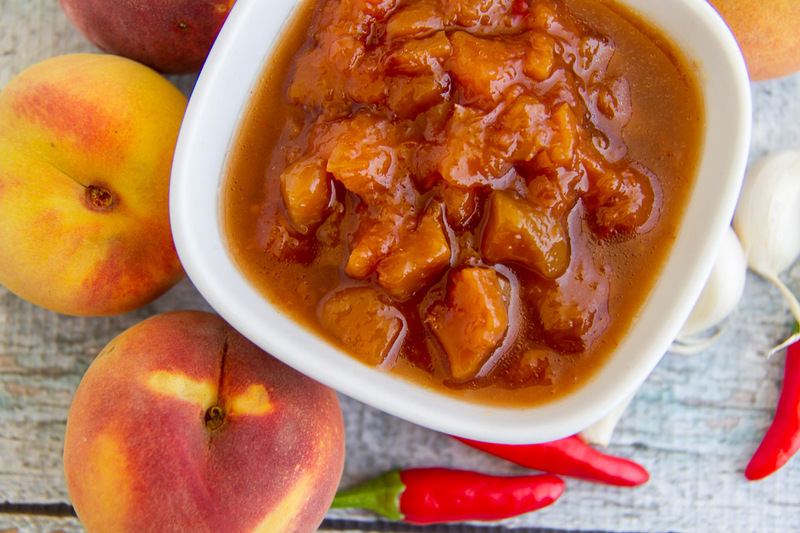 We still have a few bags of peaches left, so I’m planning to make another batch in the next few days. 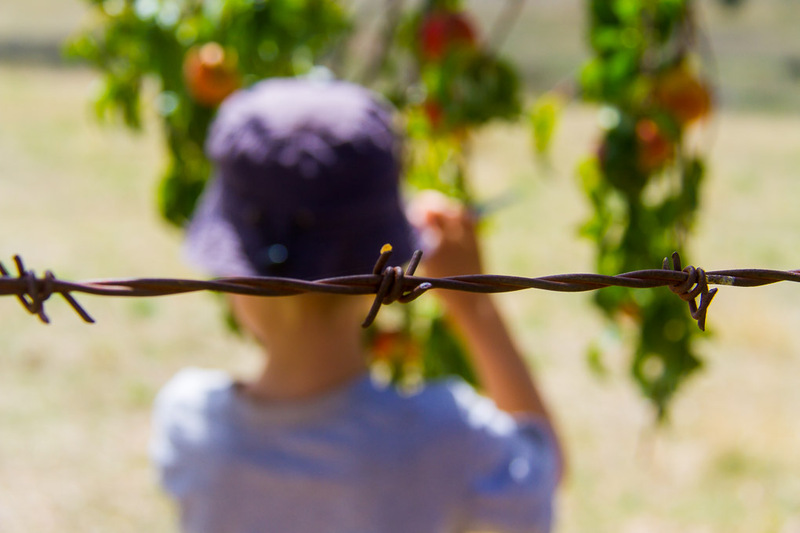 Do you like to forage for food by the roadside? I want roadside foraging for quandongs this year and made my first batch of quando going jam, it was delicious. 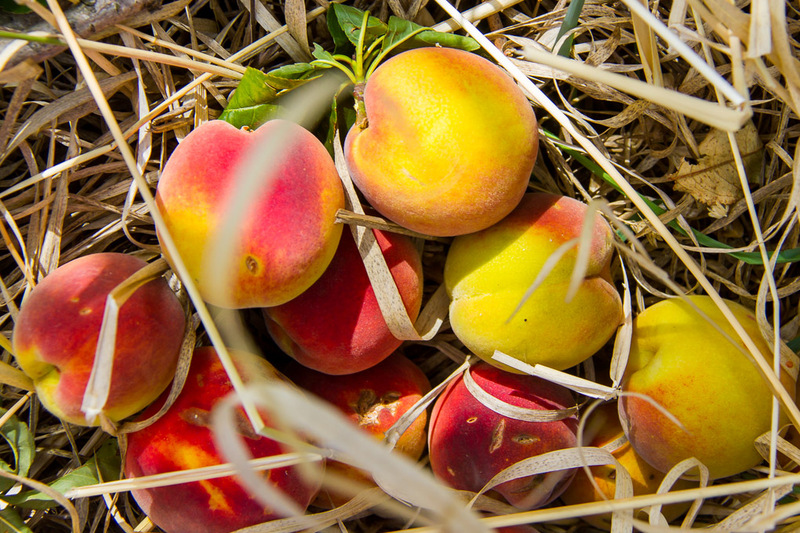 I have peaches ripening and can’t wait to try your recipe, it sounds delicious.